PALO ALTO – (RealEstateRama) — Palo Alto Housing and Housing Choices will host an information session on Thursday, November 15, 2018, at 7 p.m. at the Mitchell Park Community Center in Palo Alto. The purpose of the event is to educate the community about inclusive and affordable housing for people with developmental disabilities and opportunities to be involved in influencing housing plans for this segment of the community in Palo Alto and Mountain View. Participants will learn about two new local affordable residential communities that Palo Alto Housing is currently developing. Wilton Court at 3709 El Camino Real in Palo Alto will have at least 15 units for adults with intellectual or developmental disabilities. The property is steps from the VTA Bus Line #22. A second residential community is planned at 950 West El Camino Real in Mountain View and will offer some rental units targeted for adults with developmental disabilities. The Wilton Court project is the City of Palo Alto’s first inclusive housing for people with developmental disabilities, the first project to use the City’s newly created affordable housing combining district, and Palo Alto Housing’s first housing project in the City of Palo Alto in more than seven years. The event is free and all are welcome! Mitchell Park Community Center is located at 3700 Middlefield Road in Palo Alto. For more information, please contact Palo Alto Housing at (650) 321-9709. Housing Choices is a non-profit organization that helps individuals with developmental and other disabilities secure affordable housing with individualized supportive services. 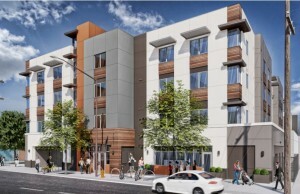 Palo Alto Housing is a leading developer and manager of low- and moderate-income housing in the San Francisco Bay Area. Palo Alto Housing has a significant pipeline of new development projects with approximately 600 residential units in various stages of planning and development located in the San Francisco Bay Area. 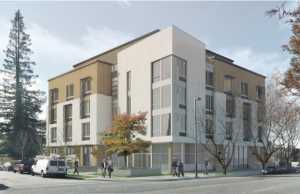 In addition to Wilton Court in Palo Alto and 850 West El Camino Real in Mountain View, Palo Alto Housing’s planned projects include: Eagle Park Apartments, a 67-unit affordable apartment community nearing completion in Mountain View, which will house low-income veterans and households earning up to 60 percent of the Santa Clara County Area Median Income (AMI); and a new affordable apartment community for low income families and veterans, which is slated to break ground in February 2019 in San Mateo County at 2821 El Camino Real in Redwood City, California. Plans call for 67 studio and one-bedroom apartments for households with incomes between 30 percent and 60 percent of the area median income.